I always cut tails first. I do so because, for me, this is the harder of the two (tails or pins) to cut. I also wanted to put the harder, tails on the board that was the hardest to cut. This resulted in cutting the tails on the bottom panel of the carcase. The bottom panel is 60″ in length, which makes it difficult to work on. 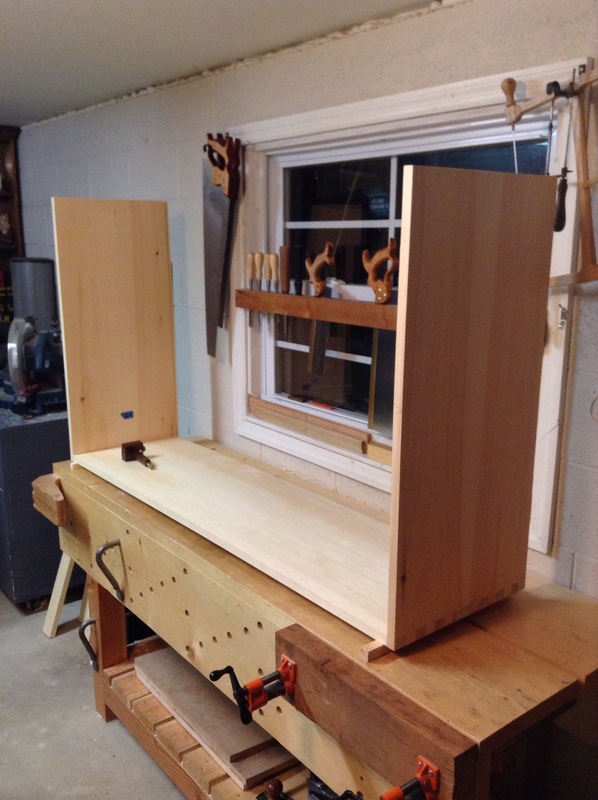 I started to cut the tails by clamping the panel to the front of my bench. This worked somewhat, but the top part of the board – where I was sawing – was unsupported and created lots of vibration during the cut. Not something I enjoy – nor does it help me stay square and true while cutting. Not to mention, I had to stand on top of my saw bench to get into the comfortable height in-line with the end of the panel. That’s how I cut one end of this panel. On the other end, I tried something a little different. 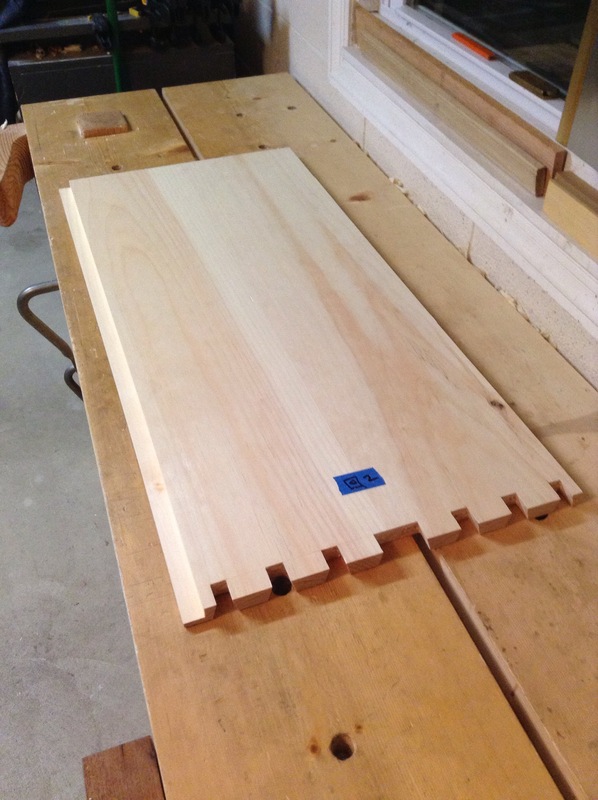 I layed the panel flat on my bench and let it hang off the end of the bench a few inches. It was just a matter of “taking a knee” at the end of my bench. The board was much more stable and I was more comfortable. In the end, both ends turned out good. The second method was much more enjoyable however. The corresponding pins on the side panels were a little easier to cut. I was able to clamp these to the front of my bench without all the other issues because of their shorter length. Marking for the tails was the challenge. Luckily I had a third hand to help. A little chopping and fine tuning, and I was able to get a glimpse of what the sideboard would look like. Looks good…it’s exciting when things start to come together. 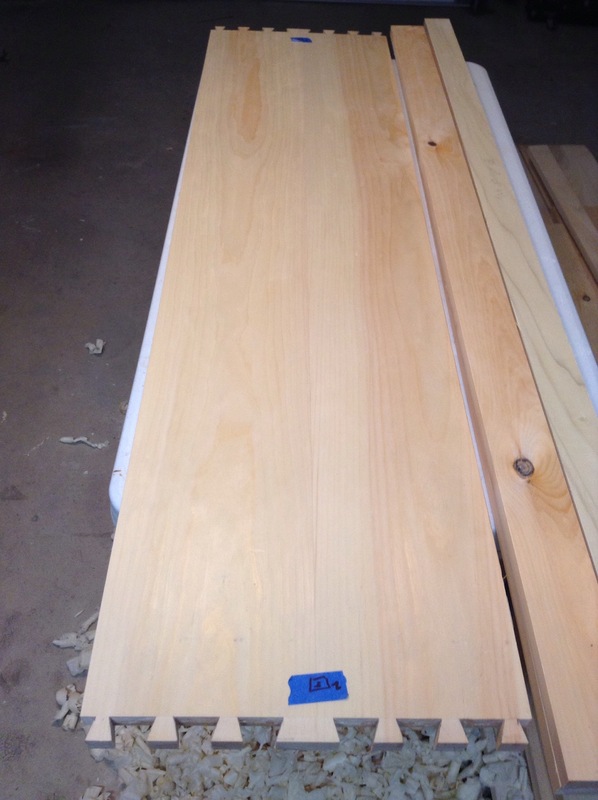 Next, I took the opportunity to cut the rebate for the planks that will make up the back of the carcase. I think my next chapter in this project will be to work on the top web frame. 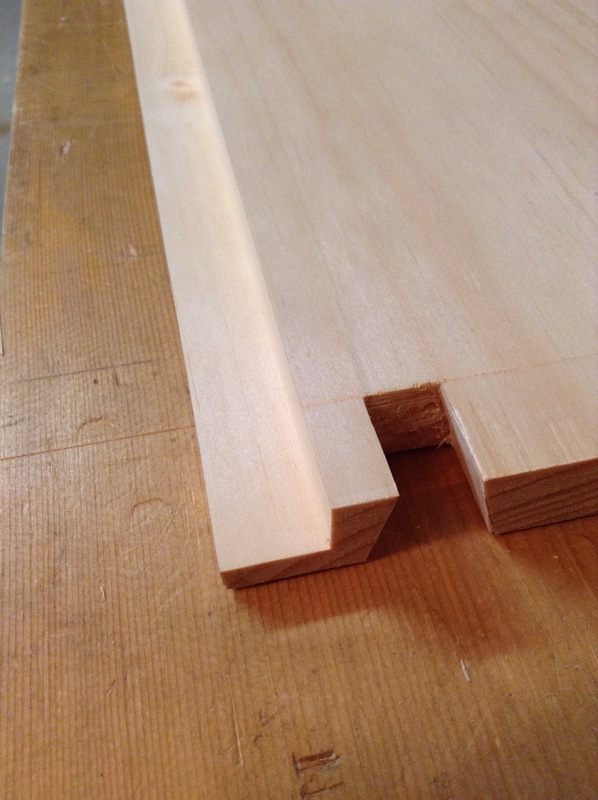 This entry was posted in furniture, hand tools, VCF, woodworking and tagged dovetails, eastern white pine, furniture, hand saw, hand tools, plough plane, sideboard, woodworking by villagecustomfurniture. Bookmark the permalink.